Can Tags bag another brace? Ian Baird’s Spitfires will travel away to Park View Road on Tuesday as they try and get the own back on The Wings, just ten days after the two teams met in the league. Third placed Welling United hammered the Spitfires nine days ago 4-1,but that result will be long forgotten as a new look Eastleigh were on the right end of a 4-1 result to sixth placed Woking on Saturday with goals scored by Jamie Slabber,Tommy Jordan and Tony Taggart getting on the score sheet twice. The Wings last game was away to fifth placed Chelmsford City on Saturday and the match finished 0-2 to Welling United with Luis Cumbers scoring both goals for The Wings. 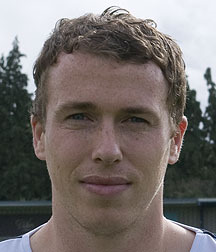 Andrew Pugh will be the biggest threat to the Spitfires back four,the striker has scored 16 in the league on level with Jamie Slabber and the ex Gillingham striker put two past Jason Matthews ten days ago. The Spitfires have enjoyed good form at Park View Road. Last season Richard Gillespie and Ross Bottomley made sure of a 2-1 win with Lee Clarke scoring the only goal for The Wings, however The Spitfires had previously been on the wrong side of 3-2 and 3-1 losses. Both clubs have won four, drawn one and lost one out of their last six previous league outings. Welling United have kept seven clean sheets (two of them being at home) and have failed to score twice (one of them being at home) in their last twenty games. The Spitfires have kept five clean sheets (three of them being at home) and have failed to score three times (one of them being away) in their last twenty games. Eastleigh’s top goal scorer Jamie Slabber could be doubtful of playing after a injury on Saturday and goalkeeper Gareth Barfoot could still be recovering from his virus. This is a key game for the Spitfires,so get behind them roar on the Spitfires home!